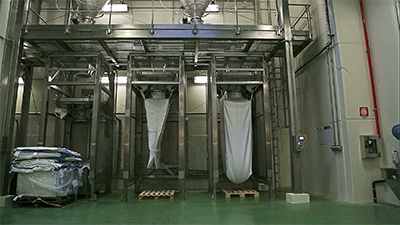 Automatic filling system for big bag. 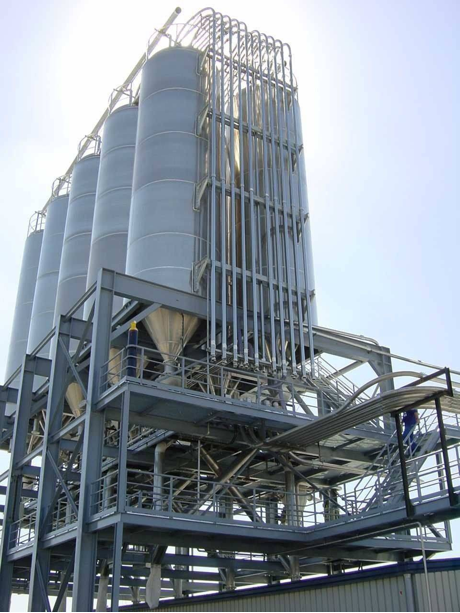 ACMA SERVICE is an international well-known Company which designs and manufactures AUTOMATIC HANDLING SYSTEMS for solid, liquid and dense products. 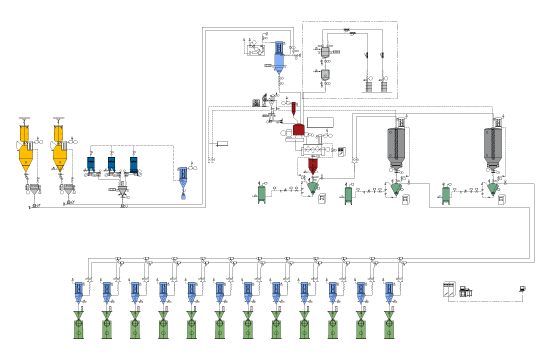 ACMA SERVICE engineers know-how and technical skill is at Customer complete disposal to plan together the best plant, considering Customer technical specifications, the rheology of the products to be processed, the available spaces and the proper Directives. ACMA SERVICE goal is to reach the best technical – economical solution to enable the Customer to gain the expected benefits from the plant.